Please be on particular alert for children. Slow down and come to a complete stop at all stop signs. Proceed with extreme caution. Motorists should be cognizant of the increased pedestrian traffic and operate their vehicles accordingly. Trick-or-Treat by going to all houses on one side of the street, cross at the corner, and then go down the other side, thereby minimizing the amount of time spent dashing across dark streets. Trick-or-Treat in groups, in well-lit neighborhoods and stay on the sidewalk. Obey traffic signals and don’t cut across yards or driveways. 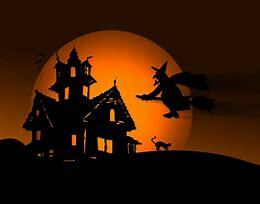 Carry a flashlight and make sure costumes are bright and don’t drag on the ground. Wear shoes that fit and avoid wearing masks that obstruct your vision. Stay away from strangers, and animals you don’t know. It is suggested they wear a watch that can be read in the dark.